work for over 20 years (Oregon License #15170). She found Bowenwork 8 years ago, and through this journey she has deepened her understanding of the human body’s innate intelligence and ability to heal itself. 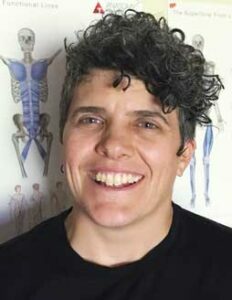 Cobalt is a self-confirmed “body nerd” and Bowenwork Instructor in Portland Oregon. Her newest discovery is Tensegrity which she sees as a roadmap for all of her different gentle touch modalities. Cobalt enjoys hiking, playing and connecting with her community, life long learning and loving her amazing daughter.